April 15, 2019 -- These are the top 7 events that are happening this weekend, that you may not have heard of. Now you have plans to celebrate the weekend! Join us for a fun and flavor-filled day that includes a demonstration on making original Zoar pretzels given by a Zoar descendant, kids activities, museum tours, and a sneak preview of the new art exhibit at the Bimeler House. See the iconic story, come to life on stage! Tickets are just $10 for adults and $7 for students/seniors. Avenue Arts Marketplace & Theatre is pleased to present Proof, directed by Olivia King. Tickets are $15! TASTE, SHOP & ENJOY! In collaboration with the First Annual "Local Wine and Maker Expo" presented by Pro Football Hall of Fame, 720 Market Presents "Tents on the Turf Hall of Fame Pop Up." The Hungry Turtle Crawl is a fast, flat loop 2.57 run/walk course through the historic streets and parks of Northeast Canton. 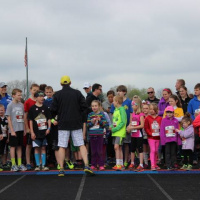 There are also two kids runs prior to race start. Celebrate the life and talent of the one-and-only Prince with our annual showing of "Purple Rain" on Canton's largest movie screen. $5 general admission tickets are available at the door. Don't see something you like or looking for something specific? Check out our full event calendar to see all of the events that are happening this weekend! Allison Rowe is the Marketing Coordinator for Visit Canton. She enjoys shopping, spending time with friends & family, going to concerts, and watching football! Allison can be found trying new restaurants, exploring museums, and hanging out at Canton First Fridays. April 24, 2019 -- The monthly music, food, and art festival held on the streets of the Canton Arts District! On Friday, May 3 we move back outside! Over 50 vendors with food, art, and art activities. Make sure to stop at the info tent for a special kids Kentucky Derby hat! April 17, 2019 -- With warm weather, live music, delicious food, arts, cultural experiences, entertainment for the kids (and kids at heart!) 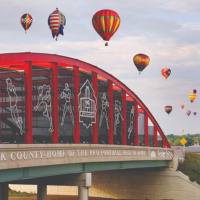 and celebrations of greatness, from May until September, you will find yourself exploring your way through Stark County! April 16, 2019 -- Summer is just right around the corner. Get ready to prepare your list of must have ice cream treats. 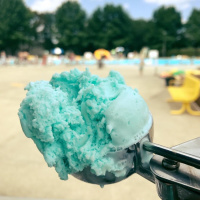 Whether it is after a baseball game or to just cool down from the sun, here is a list of the top ice cream treats to try in Stark County. 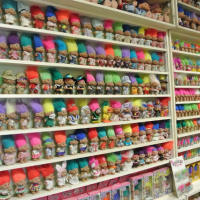 April 13, 2019- All was calm at the Troll Hole Museum, then all of a sudden 17 trolls escaped and are on the loose on Main Street in Downtown Alliance! Join the hunt on April 27th from 10AM until 5PM for Troll Mania on Main—and locate the trolls to be entered to win awesome prizes!